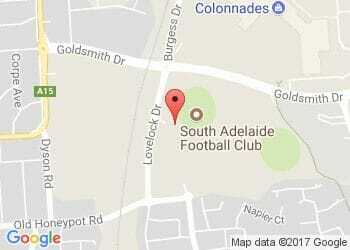 Beginning with South Adelaide U17's in 1995, in the following year Andrew won both the W.J Mahoney Cup and Best and fairest in South's U17's, and the McCallum Medal for best and Fairest in the SANFL U17's competition. He played in the winning 1991 Reserves Grand Final side, and his football prowess attracted the interest of AFL clubs Geelong and Port Adelaide Power, but Andrew was kept from performing on that stage by long term injuries. Andrew was South Adelaide captain from 1998 - 2000 due to recognition of the respect in which he was held by his fellow team mates and the club as a whole. 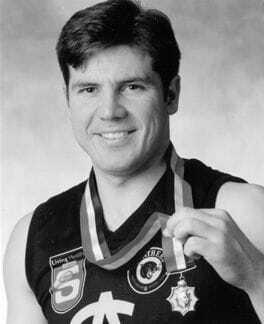 He won Magarey Medal in 1998 as well as state selection, and went on to complete 115 games for the club.